President Donald Trump's tariffs on Chinese goods are intended to help American companies that have been hurt by Beijing's industrial policies. But in the short term, at least, many American businesses may be the ones feeling pain. Deals are in limbo. Companies say critical supplies they need to make products could jump in price. And multinational corporations worry about their future ability to do business in China -- a massive market. On Friday, the Trump administration said it will impose a 25% tariff on $50 billion of Chinese exports. China retaliated almost immediately and said the United States had "launched a trade war." The Trump tariffs, which the US government says are punishment for intellectual property theft, will be enacted in two waves. More than 800 exports, about $34 billion worth, will be subject to tariffs starting July 6. Another 280 or so still need to undergo a public comment period, and will take effect later. China said it would respond with retaliatory tariffs on American goods worth $34 billion, including agricultural products, cars and seafood. They will also be enacted on July 6. The announcements immediately sent businesses and industry groups scrambling to figure out if items in their supply chains would be targeted, and how higher costs from tariffs could affect their bottom lines. A wide range of companies could be affected, from chipmakers to aviation giants like Boeing. The Semiconductor Industry Association, which represents major American chipmakers including Intel (INTC) and Qualcomm (QCOM), said it was alarmed to find the US government was now considering tariffs on computer chips imported from China. US companies often send mostly finished chips to China for assembly, testing and packaging. They could then face tariffs when these chips are shipped back in to the country. "While the US semiconductor industry shares the Trump administration's concerns about China's forced technology transfer and intellectual property practices, the proposed imposition of tariffs on semiconductors from China, most of which are actually researched, designed, and manufactured in the US, is counterproductive," the group said in a statement. San Diego-based Qualcomm also still needs China's approval for its $44 billion purchase of NXP Semiconductors, a Dutch company. The deal, first announced in October 2016, has been held up for months amid trade talks between the United States and China. Qualcomm already has a green light from regulators in eight other jurisdictions, including the European Union and South Korea, and is just waiting on Beijing. The deal is likely to be stuck on regulatory hold a bit longer, according to Paul Triolo, who specializes in global technology policy at Eurasia Group. Approval for the merger has been linked to US relief for ZTE (ZTCOF), the Chinese phone and telecom equipment maker that was crippled by a US export ban issued earlier this spring. The Trump administration earlier this month cut a deal with ZTE, but the agreement to save the company has faced resistance from lawmakers in Congress, who argue the ban should stay in place because ZTE poses a security threat. "There is still a desire on both sides to remove both the ZTE and Qualcomm [deals] from the already complex equation, but political pressures on both sides, and a serious escalatory spiral in the relationship, could spell trouble for both deals," Triolo said. 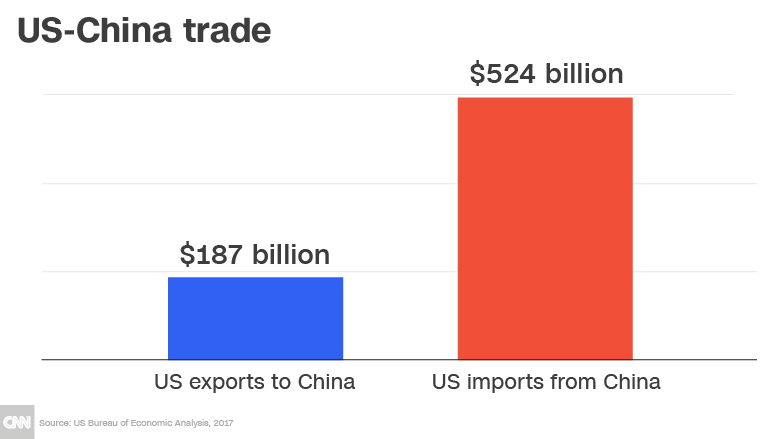 Other multinational companies that do a lot of business in China could also be caught in the crosshairs of the trade fight. Shares in Boeing (BA) closed down 1% Friday, while Caterpillar (CAT) ended the day down 2%. Boeing is the nation's single largest exporter, and China is a critical market for the company. It said last September that it expects China to spend nearly $1.1 trillion over the next 20 years buying more than 7,200 new airplanes. China has previously threatened to buy Airbus planes instead of Boeing jets if the US steps out of line on trade. Boeing did not respond to a request for comment. So far, companies with business in China have mostly kept low profiles, hoping the US and China would strike a deal, according to Samm Sacks, a senior fellow in the Technology Policy Program at the Center for Strategic and International Studies. "Multinational companies [have been] doing their best not to put their heads out and wait out the storm," Sacks said. Now that the storm has hit, companies should be extra careful, especially when it comes to complying with Chinese regulations, she added, noting concerns that Beijing could punish an errant company in order to send a message to Washington. The situation could get worse for the business community before it gets better. The White House has said it will announce restrictions on Chinese investment in the United States by June 30. So far, details have been scant — but Corporate America would be shaken by changes to the US investment regime could cut off foreign capital. 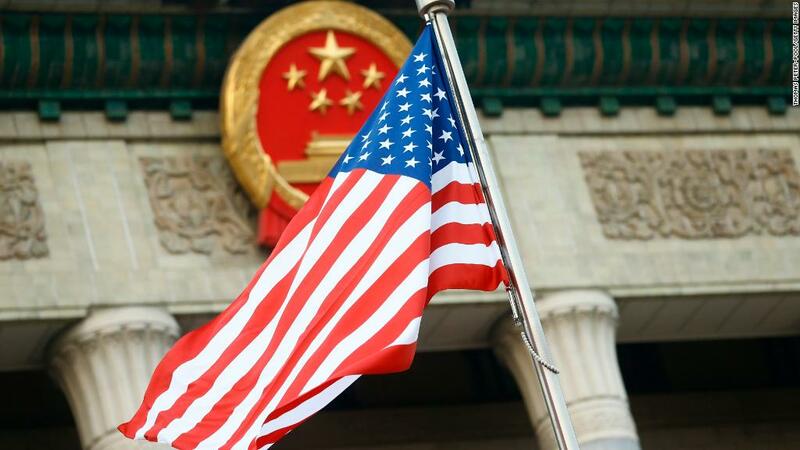 "These restrictions have drawn as much attention as tariffs, but are serious and likely a longer-lasting part of the US pushback on China," Michael Hirson, head of Eurasia Group's China unit, said in a note to clients. "Beijing will treat them seriously." American companies operating in China have already "been put on notice that things are going to get much worse from a regulatory and policy perspective," Triolo added. -- CNNMoney's Talib Visram contributed to this report.